Hertz has added the latest electric Nissan Leaf model to its fleet in London. The 100 per cent electric, zero-emissions vehicle is available to rent from Hertz branches at London Heathrow, Marble Arch, Old Kent Road, Russell Square and London City Airport. All have charge points. 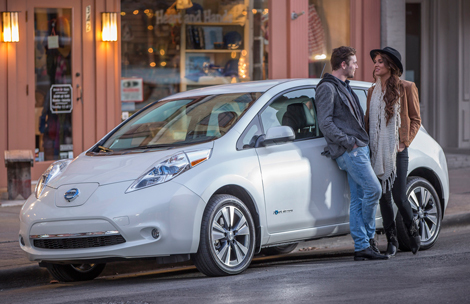 The car rental company is currently offering the Nissan Leaf with unlimited mileage at a launch price of £9.99 for up to 24 hours, including free parking in designated bays and exemption from London’s congestion charge. Neil Cunningham, Hertz UK general manager, said: “With a range of up to 124 miles on a single charge, the new Nissan Leaf is perfect for driving around London and the greater area. “With this initiative we aim to make environmentally-friendly driving available at a very attractive price. Last year, Hertz opened more than 80 new branches in European cities (see news, December 15).